Call for your FREE Evaluation Class Today! 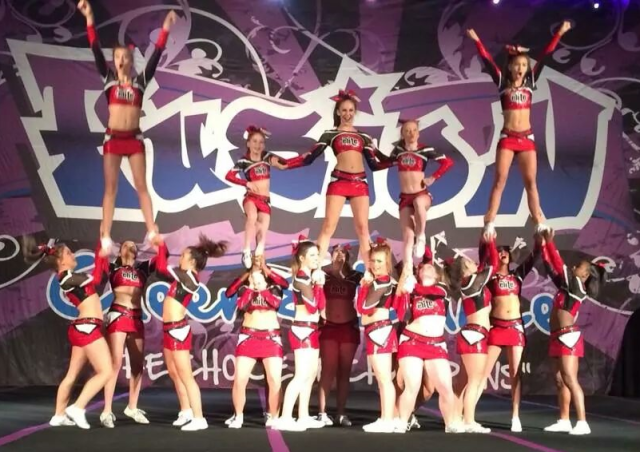 The Integrity Elite Allstars teams are a dynamic blend of cheer, tumble, dance, and allstar competition teams. This is a highly skilled and extensively trained program that competes at regional and national events across the southeast region. All teams are required to cheer, tumble, dance, stunt, jump, and provide showmanship and integrity within the sport. These athletes represent our company and carry our name in pride. 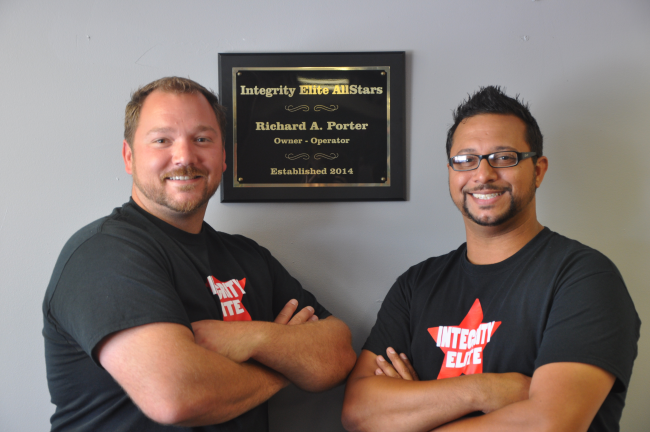 Integrity Elite Allstars teams require an 11 month contract for services. 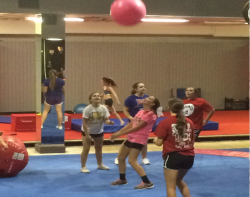 We offer tumbling, cheer, stunt, dance, and fitness classes, and we welcome All Age & Skill Levels! Interested children may have a free trial/evaluation class in order to be evaluated for placement into one of the Integrity Elite's Cheer or Tumble classes. Once evaluated, the instructor will indicate to the student and the front desk to what class the individual will best be suited for placement and skill progression. Private lessons are offered to athletes of all ages, and offers the athletes the best in one-on-one training, personalized instruction, and immediate correction. 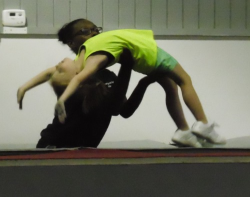 Private lessons can be for tumbling, stunts, cheer and/or dance. 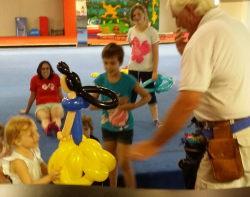 Integrity Elite Allstars is an excellent way to celebrate a child's birthday! We provide a state of the art facility with two trampolines, EVA spring board floor, a 2 inch foam bonded floor over spring board, as well as, many skill advancement opportunities or play equipment for obstacle courses and overall fun. We provide the party area for your child and the clean up afterwards. The Integrity Elite Allstars facility extends its welcome to all with our floor rental opportunities for any occasion. Come join our Parent's Night Out/Open Gym Events each Friday and Saturday night from 7:00pm to 10:00pm. These nights are set aside for the parents to drop off their children and enjoy their evening out. We will have an open "free for all" atmosphere where the kids can tumble, play games, socialize, and/or practice skills that need some extra work and attention. Ages 5 and up are welcome. Special Holiday Events will be included throughout the year. 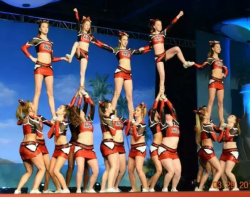 Integrity Elite is a dynamic blend of cheer, tumble, dance, and allstar competition teams. Integrity Elite will help build and develop strength, flexibility, power, confidence, and courage in your athlete. Our focus is on excellent training and superior athletics, and we maintain high standards for individual progression and skill advancement. Integrity Elite coaches and staff believe that participating in athletics should be challenging and progressive, while providing an environment that puts the athlete first in a fun and creative way. Please like us on Facebook for recent news and updated class information! Coaches understand that they are teachers and role models. They teach skills so students can grow in their competence and competitiveness over time. They view each practice, game, and/or competition as an opportunity to teach ethical values and conduct within the context of the sport. They model this behavior by their conduct towards their athletes, parents, officials, opponents, on and off the floor. Integrity is everything!